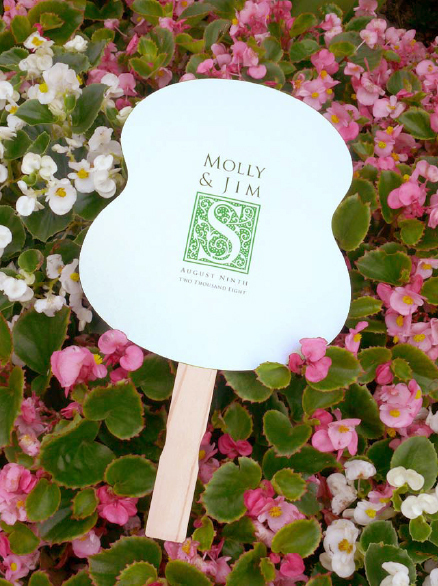 Developed for outdoor weddings, these versatile programs can be used anywhere! 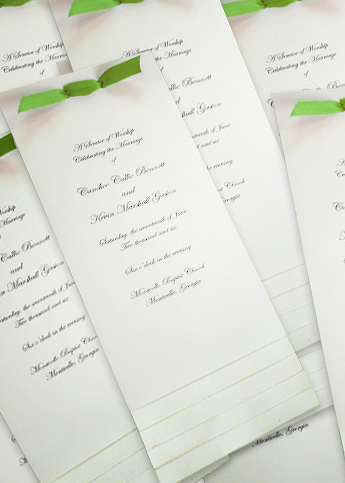 Choose matte or shimmer cardstock in virtually any color. 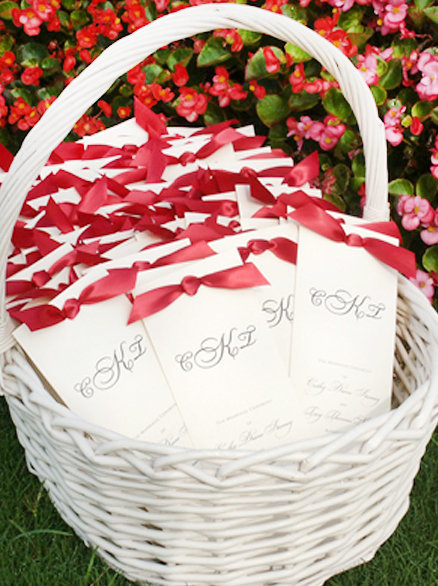 With a ribbon or raffia loop, these pocket programs are perfect for hanging on your guests’ chairs. 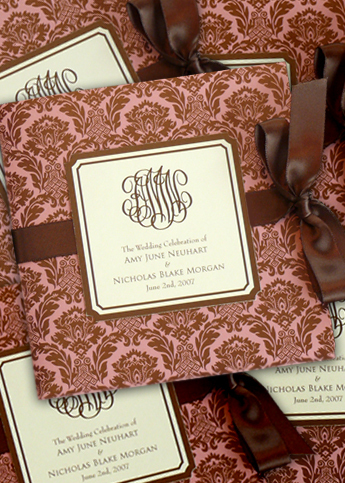 These classic trifold programs are a traditional favorite with lots of room for your text. Choose matte or shimmer cardstock, and choose a ribbon, twine, raffia, lace or coordinating paper wrap to complete your look. 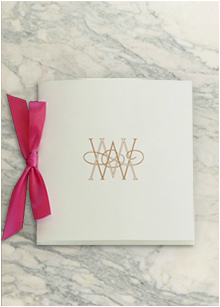 This no-fuss program is clean, elegant and easy to read with plenty of space. Mix up ribbon colors to add personality, or use twine or raffia knots. 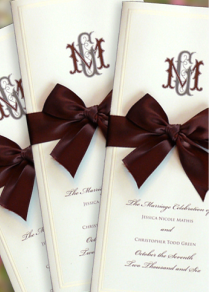 You’ll be sure to impress your guests with these tasteful programs. The paper takes center stage in this layered, clean, classic tea-length program with lots of room to hold all of your text. Choose ribbon, twine, raffia or lace binding to add personality.